Funeral services for Mr. Glenn D. Johnson will be 2:00 P.M. Sunday, November 4, 2018, with Mike Wyatt officiating. Interment Conatser Cemetery. Visitation Saturday 2-5 PM and Sunday after 12 Noon at Ligon & Bobo. Mr. Johnson, age 84 of Lebanon passed away Friday, November 2, 2018. Born February 22, 1934, in Alexandria, Tennessee, he is the son of the late Roy and Fannie Blanche Davis. He worked for Washington Manufacturing for thirty three years, and retired from the City of Lebanon Water Plant after thirteen years. He was a member of Adams Avenue Church of Christ. In addition to his parents, he was preceded in death by a brother, Wayne Johnson; two sisters, Faye Nell Johnson and Bobbie Joyce Johnson; and grandson, Rocky Dwayne Severs. 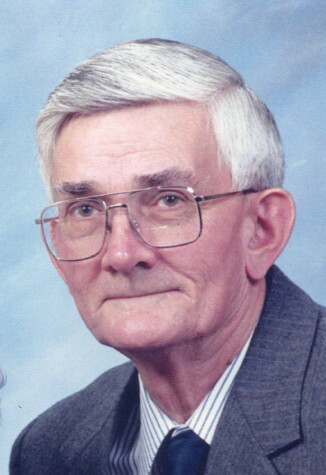 He is survived by his wife of fifty one years, Stella Mae Carter Johnson; two daughters, Blanche Elizabeth (Monty) Tester and Joan Valkyrie Hayes; three grandchildren: Steve Severs, Jerry Scruggs, and Gina Mae Ann Scruggs (Travis) Culbreath; two great grandchildren: Conner & Grace Culbreath.